A new article in the most recent issue of the Journal of Urology provides recommendations for clinicians as to the appropriate, current use of “next-generation” imaging in the treatment of advanced prostate cancer. What is meant by the term “next-generation” imaging? Types of imaging that take advantage of PET/CT scanners and imaging agents like [11C]choline, Axumin, 68Ga-PSMA, and others. The full text of the new article from the RADAR III working group (by Crawford et al.) is freely accessible on line, and so interested readers can review the article for themselves. However, what the group has not done at the present time is make specific recommendations as to which type of next-generation imaging may be most appropriate under specific circumstances. More data will be needed before this becomes a serious possibility. Our strongest recommendation for … use [of next-generation imaging] is in patients with biochemically recurrent prostate cancer. This is where the data are strongest and the likelihood of site directed therapy is greatest in patients who are interested in such strategies. We recognize the lack of current efficacy and safety data but the purpose of a consensus study is to provide guidance in an area where clinical decision making is less than certain. The RADAR III article references the fact that the NaF PET/CT is no longer covered by Medicare for prostate cancer. I was under the impression that the NaF PET/CT was more sensitive and specific for prostate cancer bone metastasis than a classic bone scan. I could not find the reason for the 2018 Medicare change in reimbursement policy for the NaF PET. Do you know why, and should a recurrent patient now not seek an NaF PET/CT to detect or track the progress of bone metastasis? Na18F PET/CT scans were never — as far as I am aware — formally approved by the FDA for the diagnosis, prognosis, or monitoring of prostate cancer. My suspicion is therefore that, when the Axumin-based scan was approved, CMS switched its coverage to this type of scan, which is much more widely available, and which is also based on the use of 18F, i.e., the same radioactive tracer element. Thank you for your response. I finally found the reason why the Na18F PET/CT will not be covered, although it appears there is a 24-month extension of Medicare coverage to allow time for CMS to confirm its decision. Apparently, CMS concluded that the Na18F PET/CT results do not (sufficiently?) change how a patient will be treated. Interesting conclusion considering the evidence presented in the decision memo showed that the Na18F PET/CT was superior to the conventional bone scan and the FDG PET/CT for both sensitivity and specificity. The decision stated that the conventional bone scan is still the “gold standard”. 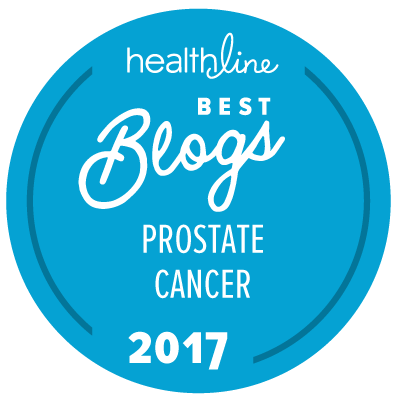 No mention of the Axumin PET/CT or any other next generation scans, and prostate cancer was not specifically addressed. The decision doesn’t make sense to me, but what do I know — I ‘m just a taxpayer. It is actually quite common for new types of test to show “better” results than standard tests, but not to have significant impact on how physicians behave in terms of making treatment decisions. THis is by no means confined to the world of prostate cancer. If you think about it, for a test to really be useful, it is imperative that it should lead physicians to change how they treat a significant percentage of their patients on a regular basis. So if the Na18F PET/CT scan only led physicians to change their decisions about how to treat patients (say) five times for each 1,000 who were given the test, then, as a taxpayer, you would be spending an awful lot of money for a pretty minimal clinical benefit.